Doterra is coming to an area near you! The Healthy Habits Tour will be hitting London, ON on Wednesday, May 29th! doTERRA isn’t just about using essential oils, but about cultivating a healthy lifestyle with products that can be used by the whole family. This can’t-miss event will answer your questions, offer inspiration, and empower you to use creative essential oil solutions with your family and friends. With advice straight from wellness, business, and oil experts, the “Healthy Habits For Life” event will teach you to take advantage of every benefit that the doTERRA lifestyle has to offer. Do you have concerns about building a doTERRA business? No matter your doubts, this business training session will show you how to share essential oils the doTERRA way—by building your business around your unique talents and abilities. Learn how to maximize your personal strengths for your business and you’ll walk away feeling more confident in your ability to invite and enroll new people! How can doTERRA products improve my family’s well-being? doTERRA isn’t just about using essential oils, but about cultivating a healthy lifestyle with products that are pure, natural, and safe for the whole family. This can’t-miss event will answer your questions, offer inspiration, and empower you to use creative essential oil solutions with your family and friends. With advice straight from health, business, and oil experts, the “Healthy Habits For Life” event will teach you to take advantage of every benefit that the doTERRA lifestyle has to offer. Don’t miss your chance to get personal essential oil and business training! I had no idea I would fall so hard in love with essential oils….like seriously, so hard. How did this happen to me? I reached out to many trusted health coaches when I found myself in deep suffering from PTSD and postpartum depression after my daughter was born they all said the same thing to me, which was try essential oils. I didn’t listen for some time until…. A very uncomfortable newborn that was having gas and bloating issues started me on the hunt for how I could help her. I started where most people do which was the pharmacy (no judgment if you have used it). When I turned the box over to see the ingredients part of me was heartbroken and part of me was furious! So many chemicals and toxins and I really didn’t want that in, on, or around our baby. So I reached out to a trusted friend to ask her about oils and I asked her if we could use them on our baby and she 100% assured me that yes there are some oils that you can use from newborn and through all phases of life. I felt so much better about using something that is truly Mother Nature’s gift to us, that was pure, potent, effective, free of synthetics. I also felt empowered and had a tiny amount of confidence, two things I didn’t feel as a Mama with my newborn. The oils were hugely successful so I dove right in and was so impressed by the quality of these oils and how fast and effective they worked. I’ve been using these oils for so many things for over a year and naturally started to share with friends and family too. As it turns out many things make there way into essential oils since they are not very regulated and for a few reasons that are unnerving. When oils are adulterated (so many of them are) they can do more damage than good so it is so important to be using the best quality oils out there. I feel confident whenever I open and use my beautiful oils since I know that they are the best quality and they are tested and tested and tested. 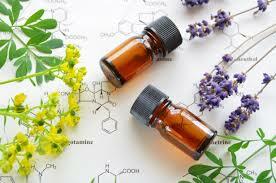 Testing essential oils is a very expensive endeavor and many companies are not doing this to the extent they should to make sure the oils are safe, free from all adulterations, like pesticides, funguses, herbicides and any other unwanted things. Good question right? Essential oils are produced by nature and are tiny aromatic compounds found in the plant, roots, stems, leaves, flowers and so on. These oils are there to help the plant with a variety of environmental threats or other conditions. One of the best ways to use these oils (ask me to find out which brand I trust and recommend) is through taking a deep whiff or aromatically. When you do this it hits your olfactory bulb in your nose, which is, connected the limbic brain. This is the place of your emotions and memory. One sniff of my Mom’s fresh baked cookies and I can recall munching away on them as a kid, crazy right. There are other ways of using the oils daily as well. We started with one shared diffuser that I often put in my daughters’ room to help her settle and sleep at night and then finally realized we needed more in our house. I have diffusers running all over the place and I even have one in my car (driving can be so stressful right?). This way I am constantly breathing in these aromatic compounds that contain natures magic! I also love to make my own skin care products, like body butter, scrubs, natural cleaners for our home and car and rollerballs or other blends for specific conditions. I feel so good using such pure, natural (don’t be fooled by that word, that is a terrible label on most products since it can be the most toxic, unnatural product but can be labeled as “natural”). Did I have any clue that somehow this would become a business for me? NO, absolutely not but I am SO glad that it did. If you are looking to shift your career, to supplement your income, to be part of an amazing global community I would love to introduce you to the basics and show you how to get started sharing oils. There are also tons of great resources out there to get the essential oil droplets flowing. If you would like to try a sample please send me a message and I’d be happy to send you a sample. I am into making this world a better, healthier, happier place. My life has taken a huge turn since I started using these amazing oils and I would love to share them with you and your tribe.